Caffeine in Skincare: Does It Work? Real Talk: Does Caffeine Really Make a Difference in Skincare Products? If you can't start the day without an extra-wet double shot of a caramel-infused mochaccino (or whatever your order of choice happens to be), you'll be pleased to know that there are other aspects of your life in which you can introduce a hit of caffeine. Namely, your skincare regimen. Caffeine has been used in products for years, and on a basic level, it makes sense. Think of what a few sips of your morning coffee do to you. They pep you up, boost your energy and aid your concentration, so surely a few drops of a caffeinated serum or eye cream would do the same thing, right? Well, it's not that simple, which is why we did some digging to find out whether caffeine works just as well in a face cream as it does in your favourite cuppa. Read on to find out more about caffeine in skincare. Does Caffeine Really do anything? In a word: Yes. But there is a lot of hype about what caffeine can and can't do in products, so it's important to know its exact capabilities. "Caffeine is often included in skincare products claiming to help with cellulite or puffy eyes," says Paula Begoun, ingredient and product expert and founder of Paula's Choice skincare. "But it doesn't work well for either concern. However, caffeine may have soothing properties and does provide antioxidant benefits." And that is no mean feat. By using products containing antioxidants, such as the ones that are found in caffeine, you can limit the production of free radicals, which are what causes fine lines and wrinkles. "When caffeine is combined with other ingredients, we combine it with ginseng, it can energise the skin and optimise cellular energy to help keep skin hydrated, conditioned and looking fresh," explains Lizz Starr, executive director of global product development for Origins. 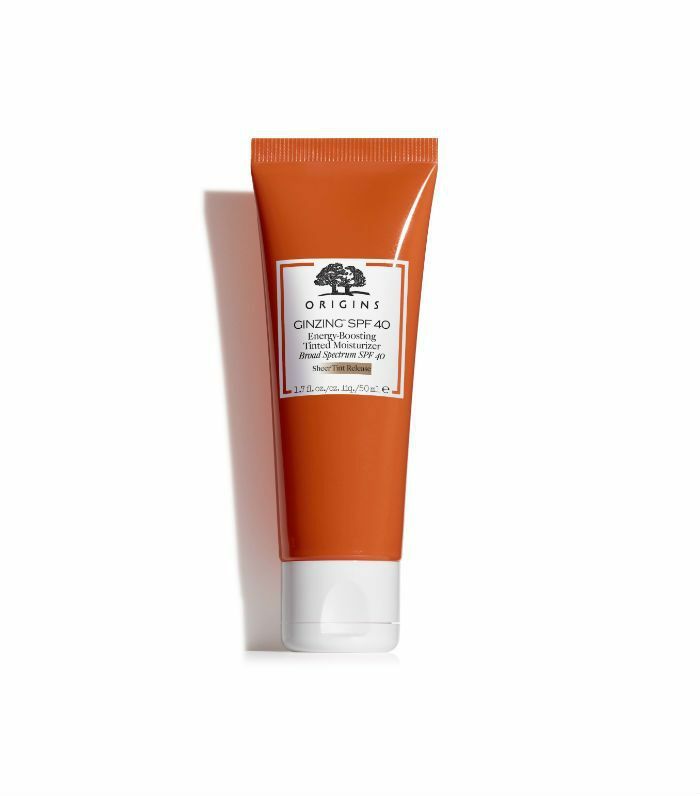 "Not only that, but it's a great anti-irritant and promotes skin smoothing." 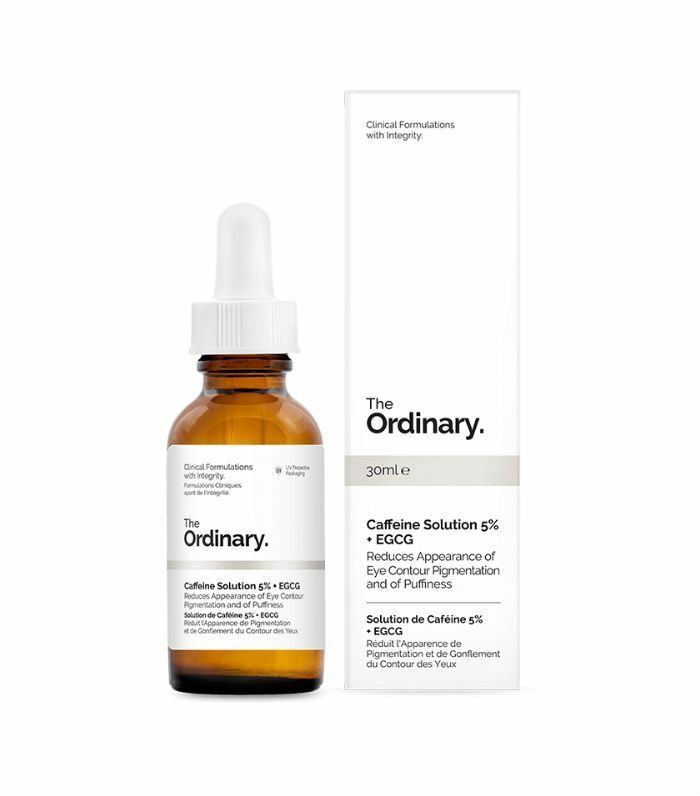 So there you have it: Like most ingredients, there are limits to what caffeine can do for your skin, but it does have incredible value in your skincare routine, so it's definitely worth stocking up on. Scroll down to see our favourite caffeine-fueled buys. 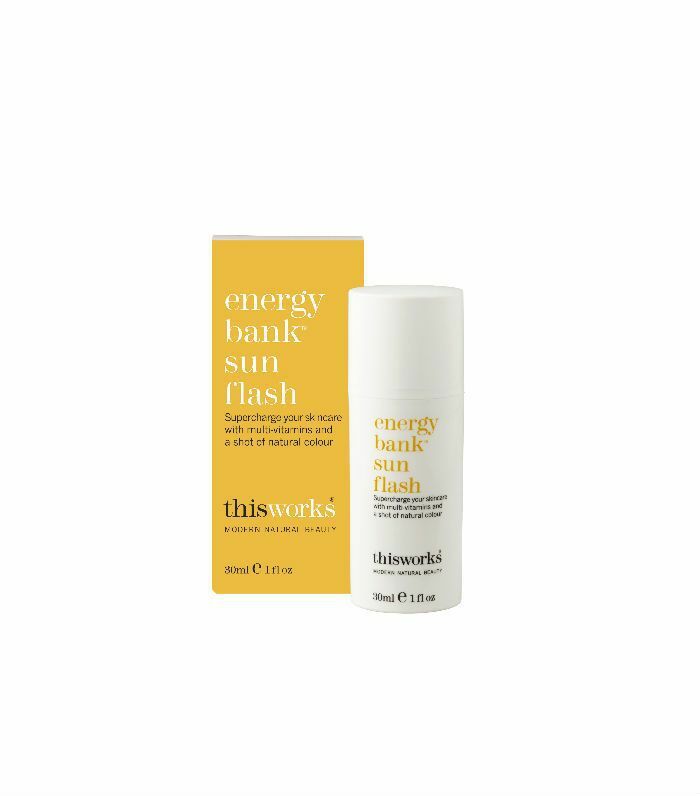 Not only does this contain the powerful combination of caffeine and ginseng to energise your skin, but it has a sheer, universal wash of tint to instantly make your complexion look more awake and perky. Plus SPF 40 to protect it all day. Exfoliating the skin can cause it to turn red and irritated, which is exactly why this one contains caffeine—to reduce any stress and inflammation. 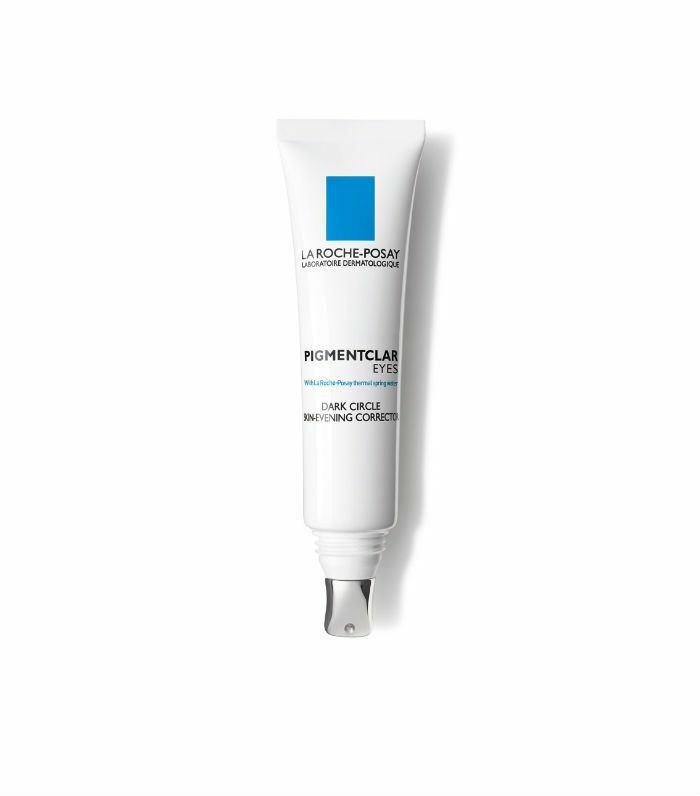 This is a truly brilliant eye cream. Here, caffeine has been married with LHA (lipo hydroxy acid), a very gentle exfoliant that helps reduce the appearance of dark circles alongside niacinamide, known for its anti-inflammatory properties. Throw the caffeine in too, and you've got all your eye concerns sorted. This solution (think of it as a more watery serum) can be applied all over the face, morning and night. The caffeine has been combined with EGCG, a powerful antioxidant from the leaves of green tea, so you're getting a double whammy of antioxidants here. Pitched as an instant wake-up for tired skin, this tinted balm can be used all over the body—even on pasty legs that need an instant glow. It's packed with vitamins and caffeine to protect your skin against everything it faces during the day, as well as hyaluronic acid to give it a serious dose of hydration. Up next! Everyone's booking in for this glow-giving treatment.